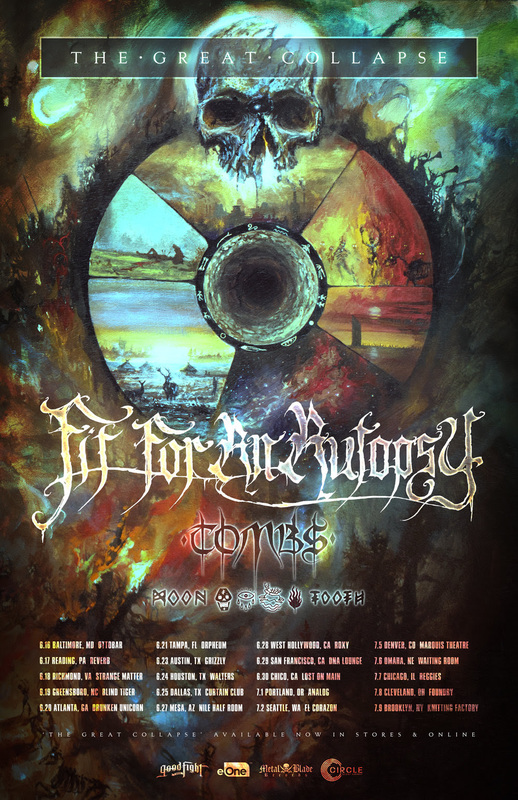 Fit For An Autopsy have announced The Great Collapse North American tour in continued support of their new LP of the same name. Support will come from Tombs and Moon Tooth with dates kicking off in early June and stretching through the first week in July. Tickets go on sale this Friday, 4/21.